paint.net 4.1.1 is now available! This is a hotfix for version 4.1 that fixes a few small bugs, reinstates some keyboard shortcuts, and adds 2 new languages. If you’re using the Windows Store release, you should get the update automatically within the next few days. For the Classic release, you can use the built-in updater by going to ⚙ Settings → Updates → Check Now. You can also download it directly from the website. Thanks to @toe_head2001, @ReMake, and @Dandelion Sprout for helping out on this release! 2. Click on the "..." button at the top right, then click "Downloads and Updates"
Many thanks for the update, Rick. I am using PDN with Parallel, and I noticed the performance is noticeably faster than predecessor. In reading the thread about the color picker (inside Troubleshoot & Bug Report sub forum), I was wondering if it is possible for a future release to allow the paint brush and gradient to use left-click to set primary and right-click to set secondary colors? This bug was introduced in the latest build of Paint.NET. Sorry about that. I have already submitted a code fix for it in the official source code repository. It will be fixed in the next release of Paint.NET. 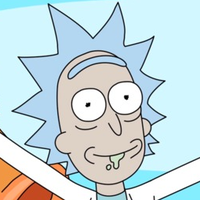 I'm not sure what Rick's time table is for the next release, but it shouldn't be too long. I really hate to complain, but I kind of can't avoid it here: this latest version has borked layers completely. I work with a number of images with a huge number of layers (ie. well over 100), and now the program lags atrociously the moment I do anything with them. If I turn a layer on or off, the program takes almost 5 seconds to register it, and that lag grows to almost 20 seconds if I'm enabling or disabling multiple layers at once. Just scrolling through the list of layers causes it to hiccup, and if I try to use the mouse's scroll wheel, it's completely untenable as it jerks through the list at seemingly random intervals every 3 to 6 seconds. I don't know what changed to cause this, but I would be very happy if the next version fixed it. There shouldn't have been any changes to cause that, but like @BoltBait pointed out, a performance trace and maybe a video will help immensely for me to figure it out. Same file as I had the Rectangle Select problem on. PDN had been open a few hours ... lots and lots of layers ... click on a layer no names displayed, some layers looked empty despite having stuff on - just a rotating buffering symbol all up the layers window. I thought it may have been a memory thing but it sorted itself out. Half an hour later whenever I clicked on a different layer, PDN would minimise itself - did it about 10 times before I shut that file down.